Music takes you right back. Back to a time, a place, a feeling. Last night, on the way home, I heard The Jam’s Down in the tube station at midnight on the radio. It prompted me to grab my CD of the group’s Snap greatest hits album to play on the drive to work today. I was transported to a freezing cold night in Leicester in the winter of 1984. I was on the last leg of my journey back to my student house after a weekend home in Cardiff. I was listened to the cassette version of Snap as I made my way along The Newarke past the medieval Magazine Gateway. Leicester was a good place to be a student 30 years ago. Terry Wogan may have mocked it as ‘middle of the country, middle of the road,’, but it was an inexpensive place to live and the university of Leicester had a good reputation, especially as a law school. ‘Town and gown’ got on well, and the Asian community meant we had any number of great curry houses to savour. Washed down by cheap beer! 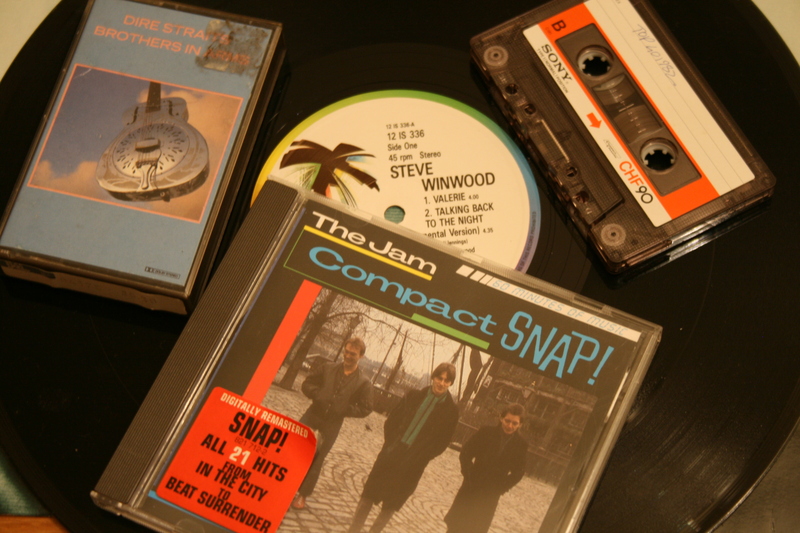 This entry was posted in Music and tagged Snap, The Jam, University of Leicester by Rob Skinner. Bookmark the permalink. Oh I agree music takes you right back. That’s why I am listening to jules holland tonight. Staggered that you can quote legal cases after all these years, I suppose I remember a few. There are lots more cases I don’t remember, Caroline!